Come join us for a powder skiing experience you'll never forget! Located in the heart of Idaho's West Central Mountains, we have over 30,000 acres of untracked powder, literally, in our backyard. Located on Lick Creek Summit (elevation 6930' ). Spend a day hiking and skiing in the heart of the Lick Creek Mountains. Our comfortable four-stroke touring snowmobiles will take smaller groups (2 - 6 people) or snowcat for larger groups to the access point of your guided hike & ski tour. 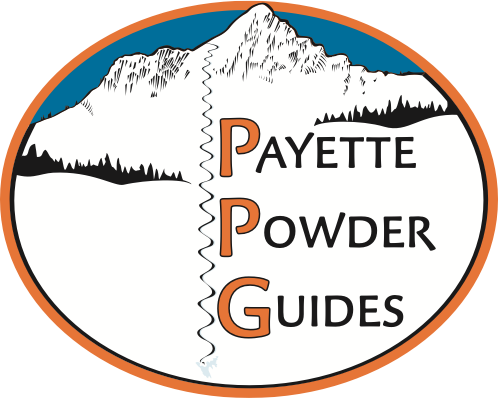 PPG has been offering avalanche education for over 14 years, and have been an AIARE course provider since 2004. Our courses are taught to the American Avalanche Association and American Institute for Avalanche Research and Education standards. We are located in the West Central Mountains near McCall, Idaho. We are situated on the Payette Crest at Lick Creek Summit, adjacent to the Salmon River and the Frank Church Wilderness surrounded by the highest peaks around McCall. Our deep and consistent powder snow pack averages 10 to 12 feet per season. We love to ski powder and we get it! Come join us for a snowcat or snowmobile accessed backcountry ski adventure!